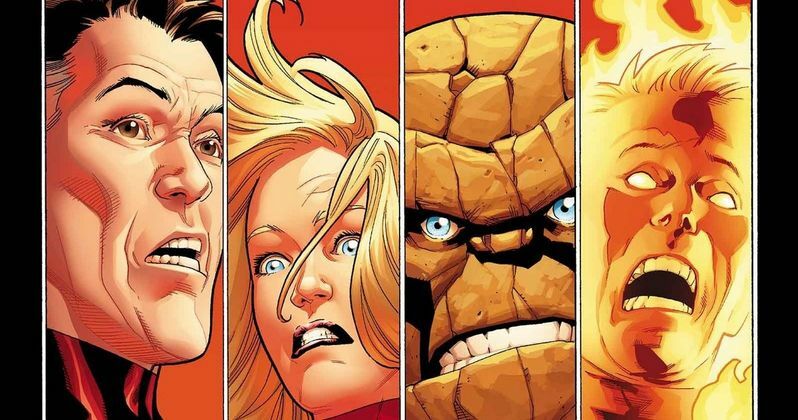 The Fantastic Four Cast to Appear at Comic-Con 2014? With Comic-Con 2014 less than two weeks out from invading the San Diego convention center, officialy announcements are continuing to fly in non-stop. While 20th Century Fox has only revealed their TV plans thus far, Screenrant has learned exclusively that the main cast of The Fantastic Four reboot will be appearing in some capacity. 20th Century Fox has not yet confirmed their official SDCC movie line-up, but according to this unconfirmed report , all five main leads will be making an appearance, presumably as part of a panel and possibly to show the first ever footage in Hall H.
If Fox follows their schedule from last year, they will be showing off their upcoming movies on Saturday. Its not known if director Josh Trank will be in attendance. He is scheduled to jump straight into the Untitled Star Wars Spin-Off for 2018, which is rumored to be Solo, based on the early adventures of Han and Chewbacca, after The Fantastic Four wraps. Production on The Fantastic Four is currently underway in New Orleans. Its possible that Fox may also bring X-Men: Apocalypse to the Hall H stage, but it may be too early for that Marvel superhero adventure. We'll have to wait for officially confirmation, and even then, 20th Century Fox may keep this as a secret surprise revealed on the day of their studio panel.